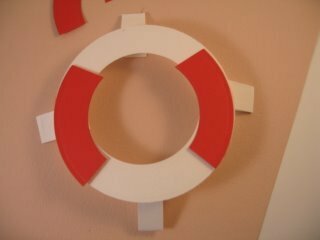 This easy to make Lifebelt card can be a life saver... when you are stuck for ideas. This card can be a real life saver when you are stuck for ideas and it is a really simple card to make. We all have card that is surplus and it seems such a shame to waste it, well this uses up what you have in your stash. 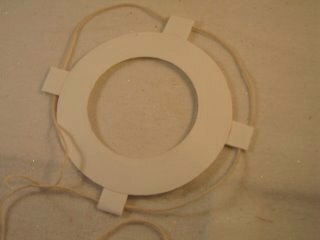 You will need two circle the same size and in two different colours. I have made mine white and red. Cut four small tabs in white and find an odd length of string that is hiding in your cupboard. 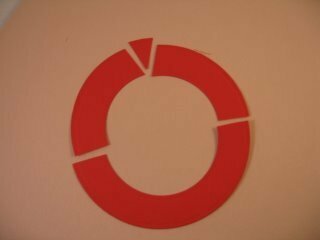 With the red card you will need two smaller pieces to fit onto the white circle. This is how they will be fitted onto the other. 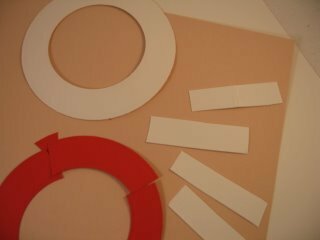 Fold over each of the tabs and glue or staple just the open edge. Make sure you space them out evenly and leave them open to thread the string through. You will need enough string to go through all the tabs and be able to coil at the bottom of the card. 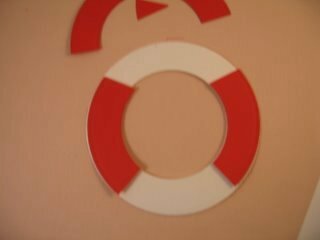 I made a panel to layer the lifebelt onto with an Embossing Folder. Around the edges of this panel, and to the lifebelt itself I added some Faux Stitching. The string has been coiled at the bottom of the card and held in place with some Pinflair Glue Gel. An added piece of string has been threaded with some sea shells that I found in my stash, and added to the spine of the card. 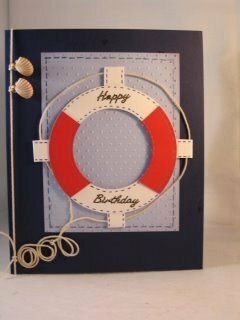 A real Nautical theme and the "Happy Birthday" sentiment is a Peel Off.